LocoMotoArt is pleased to announce that the interactive media work of artists Rob Scharein and Laura Lee Coles titled Faciem Terrae -- Earth Face, has been accepted for display during Digital Carnival. The event takes place September 1, 2017, as part of the Richmond World Festival. Curated by Wynne Palmer. 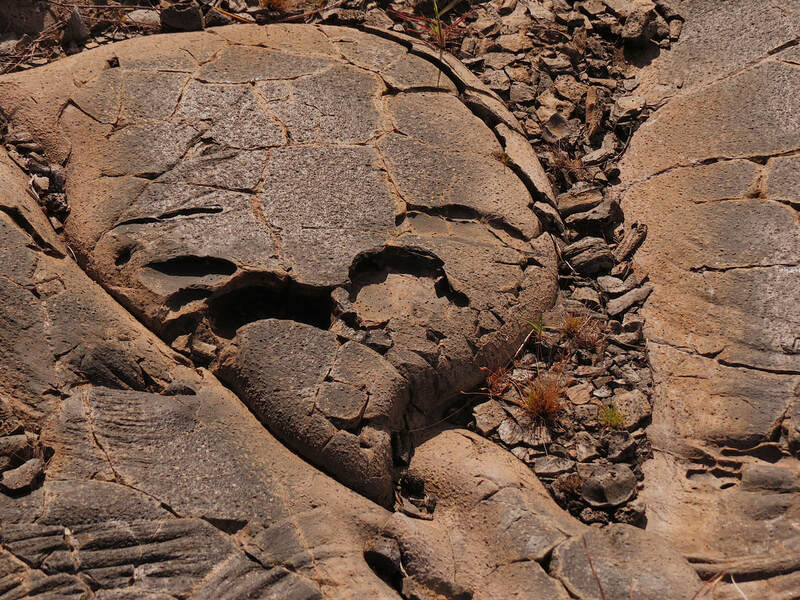 Faciem Terrae presents the interplay of Pariedolia, the phenomena of the human mind seeing faces in rocks or other inanimate objects. The intent of the work is to position the spectator in a realm of imagination using pariedolia to feel as if they too have an earth face. The interplay will be playful and socially interactive. 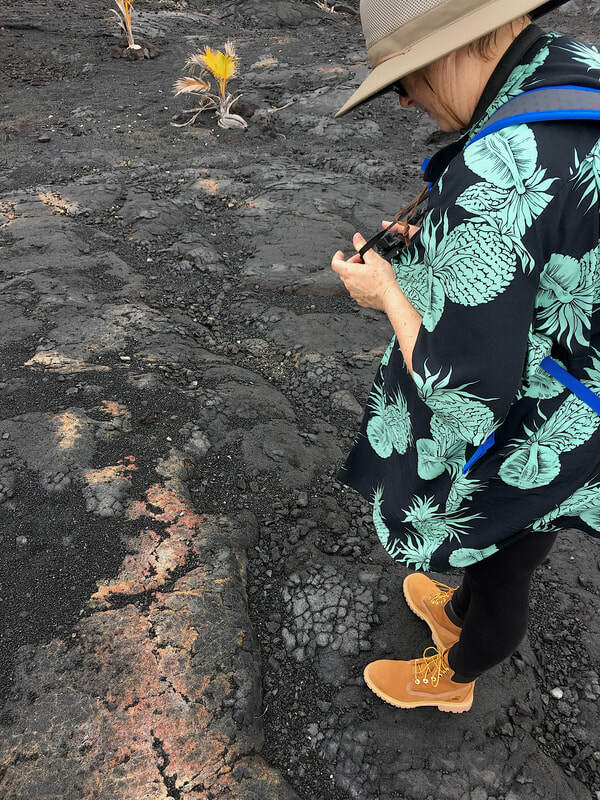 The work draws upon sense of identity, awareness, and the imagination of being on world (earth), being a part of earth, and a sense of other-worldliness. 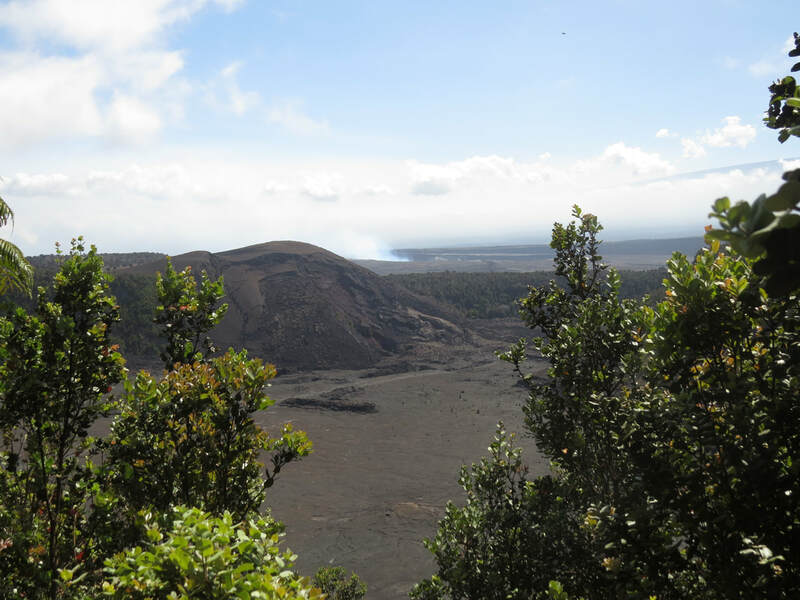 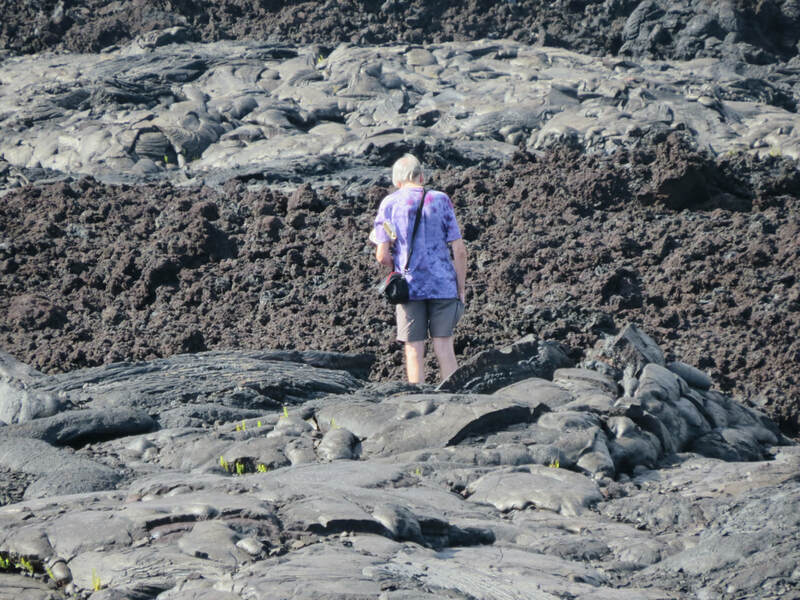 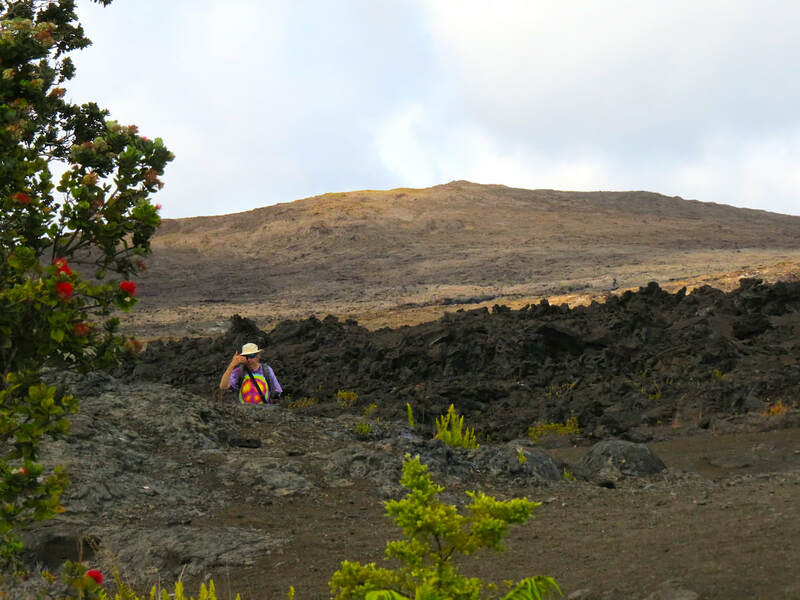 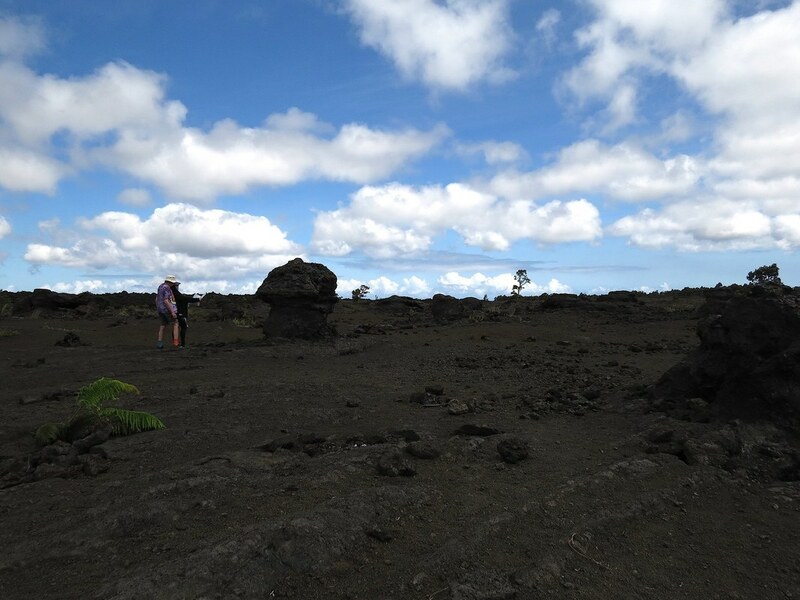 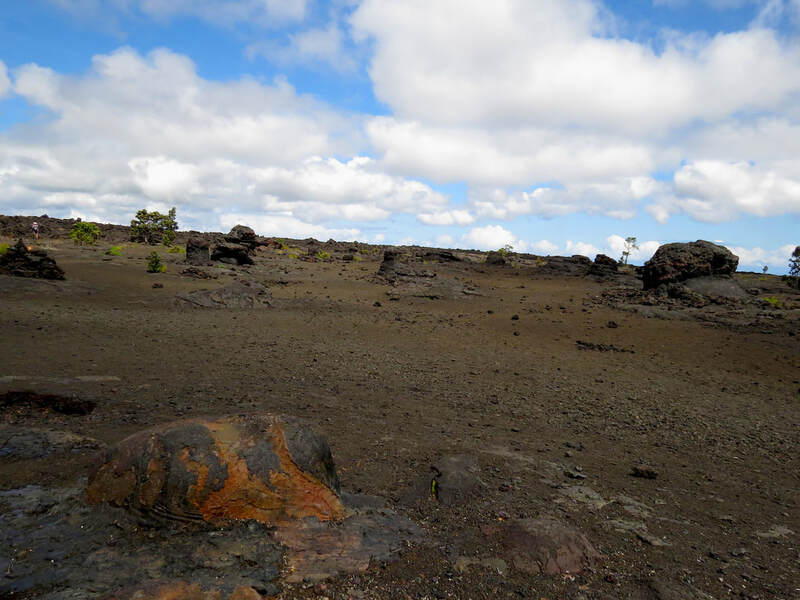 The artists have been been doing field work, exploring the lava fields of Hawaiʻi Volcanoes National Park on the Big Island of Hawai'i and the on the top of Mauna Kea. The artists found many different faces and impressions which they also plan to present as 3-D anaglyphs. 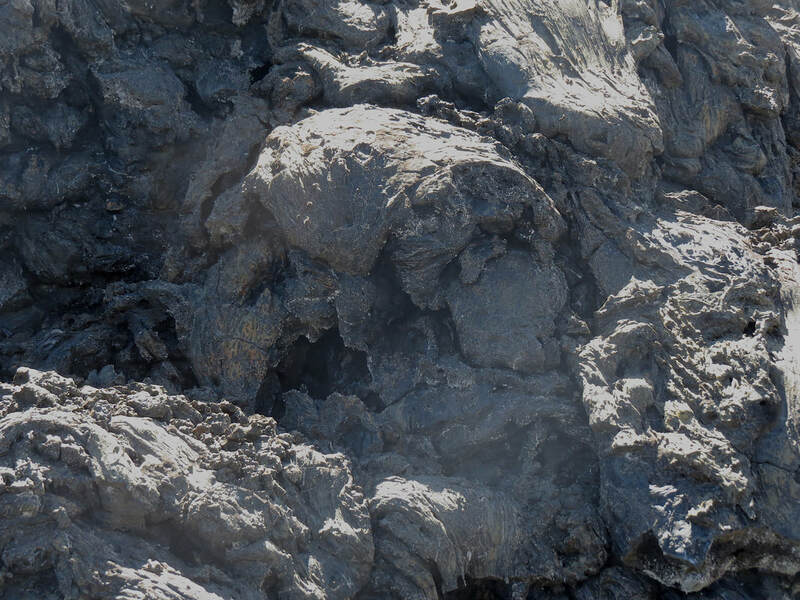 Mark your calendars to attend Digital Carnival and experience Faciem Terrae. 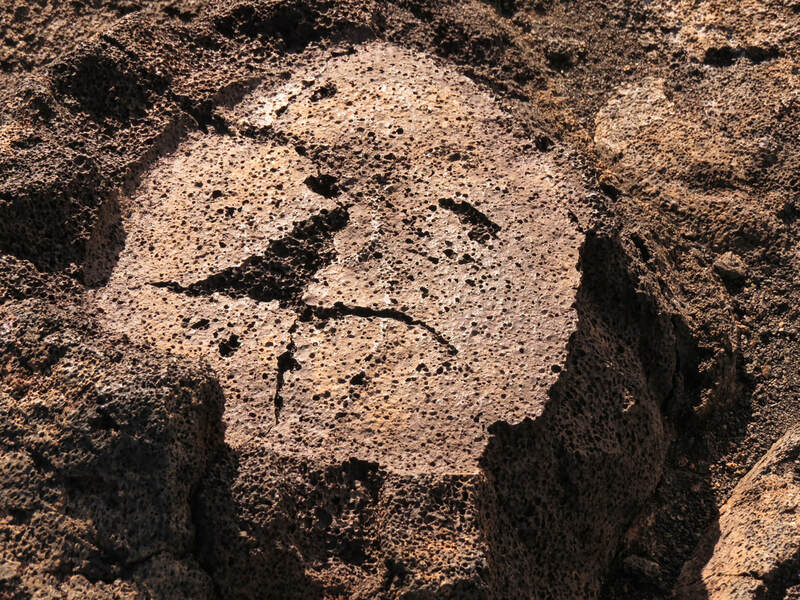 Inspired by the patterns formed by lava flows found in Volcano National Park on the Big Island of Hawai'i, the location of a live active volcano the artist explored various lava fields and photographed thousands of forms and image that gave way to faces, facial expressions. 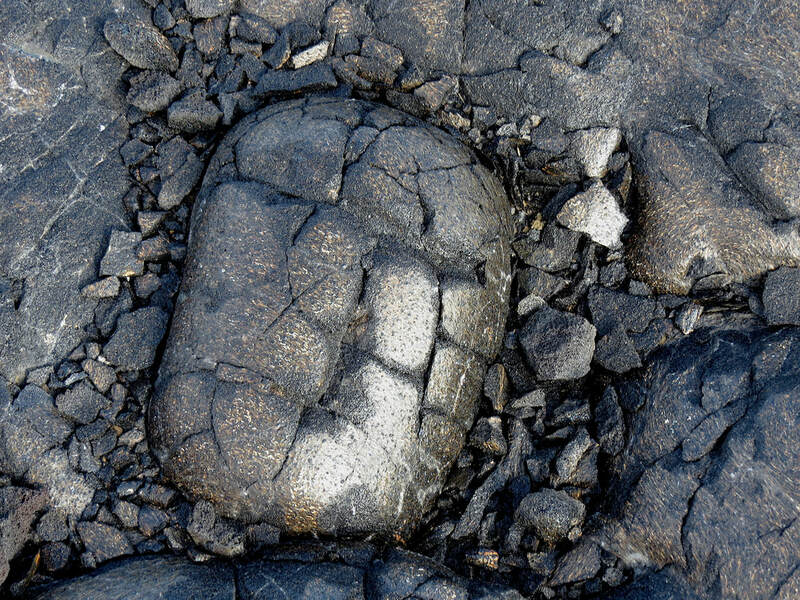 Often alien like, surreal and even appearing as monsters, the faces are being turned into interactive work where the spectator can experience their face oscillating within the earth face found in the lava field. 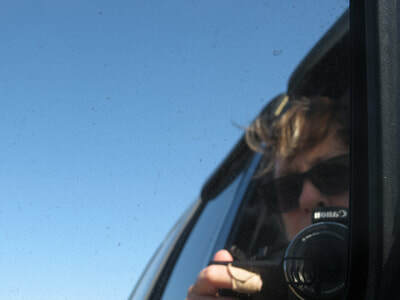 Further, the artists are creating 3-D anaglyph and stereoscopic images. 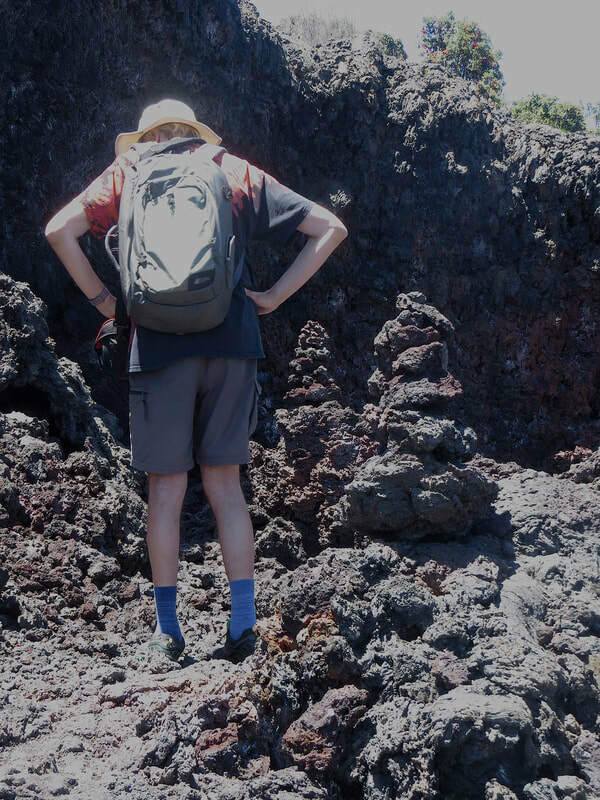 Exploring Volcano National Park, Big Island of Hawai'i. 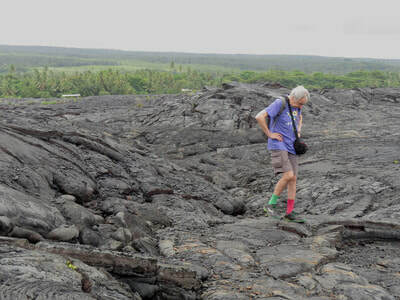 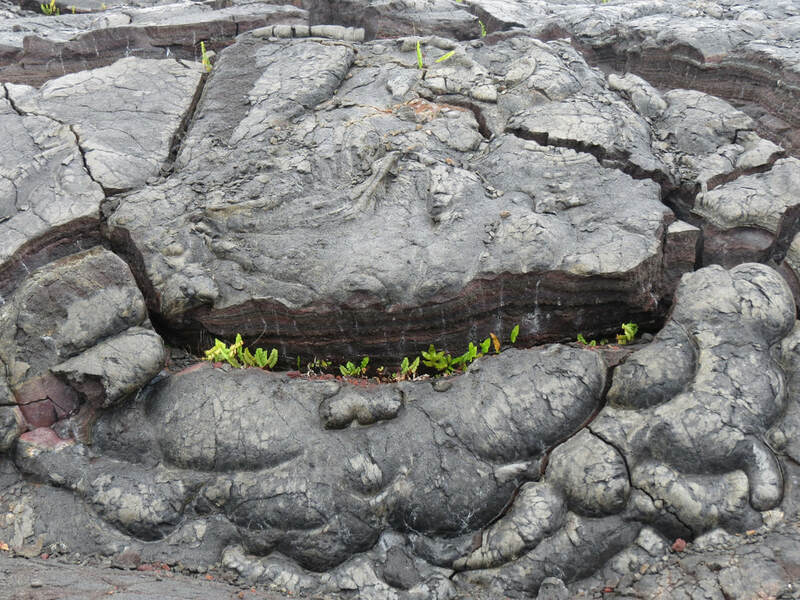 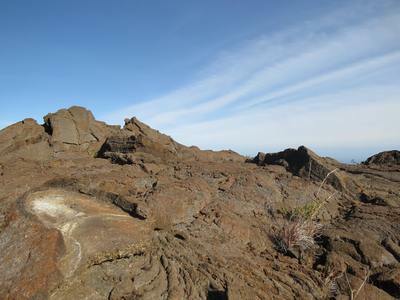 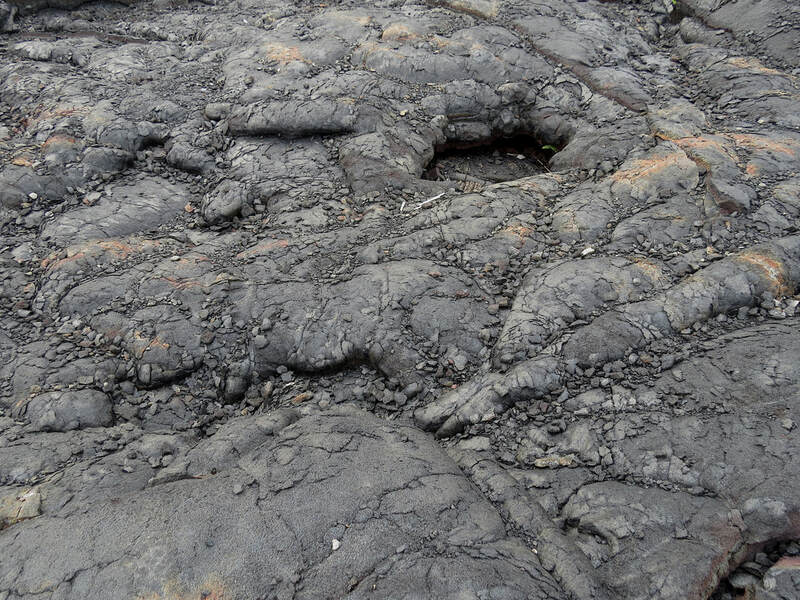 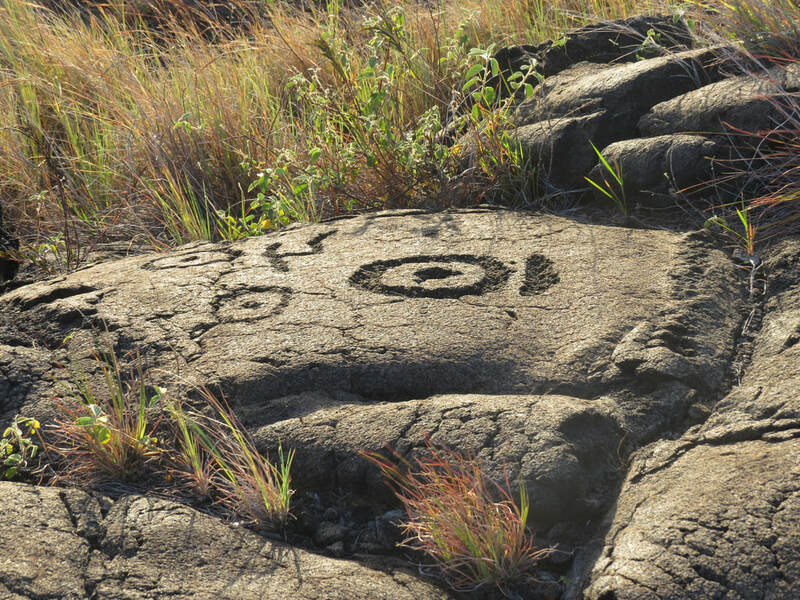 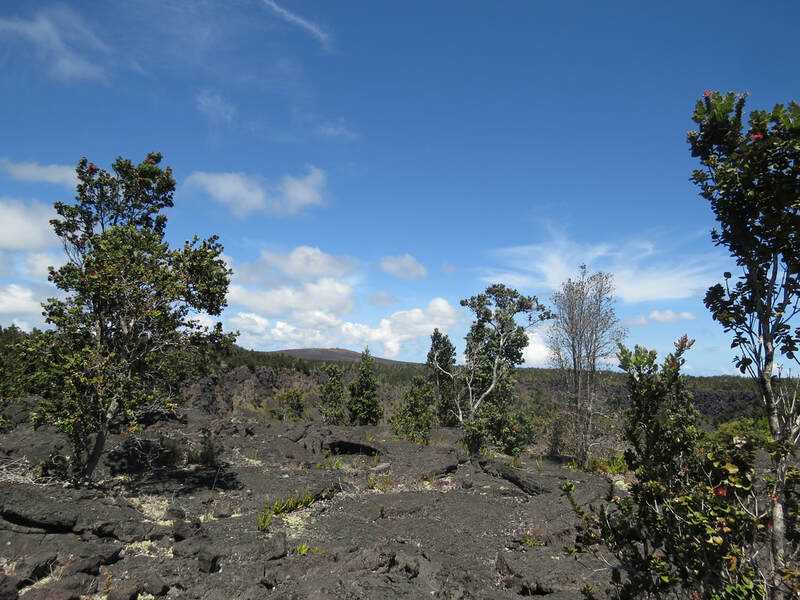 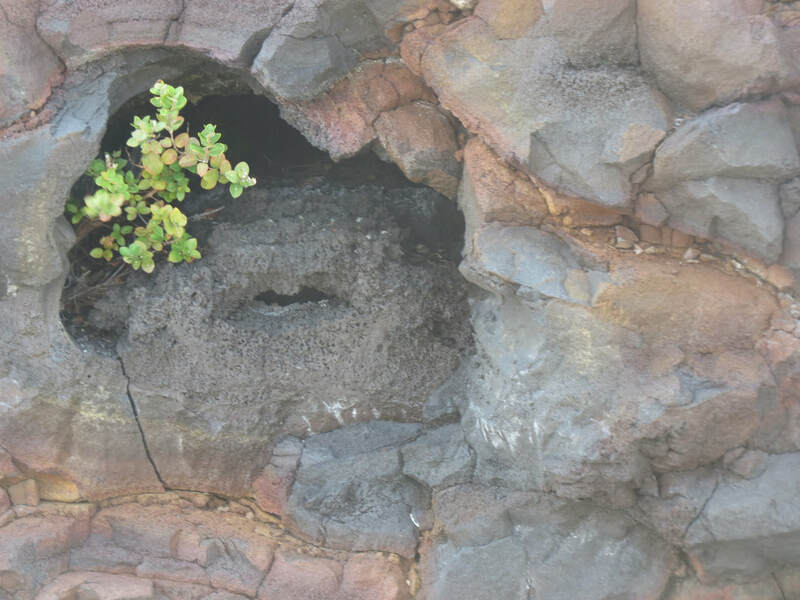 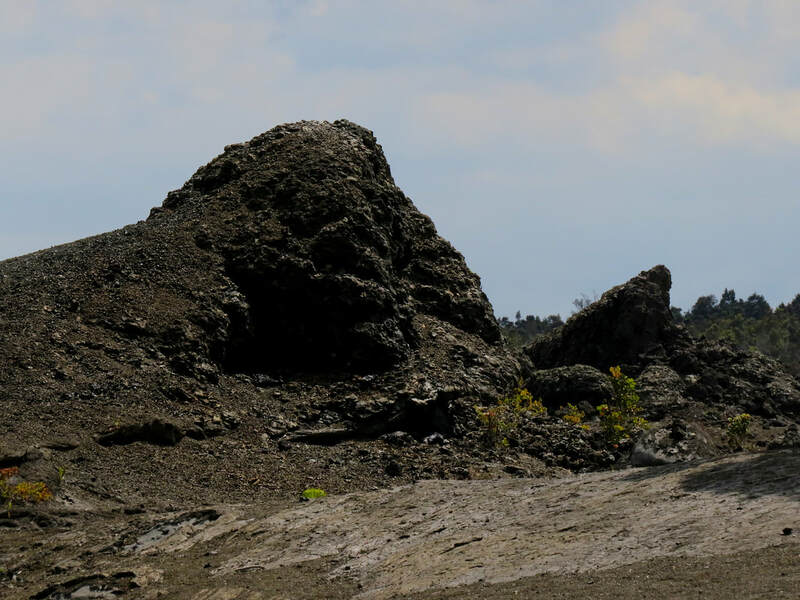 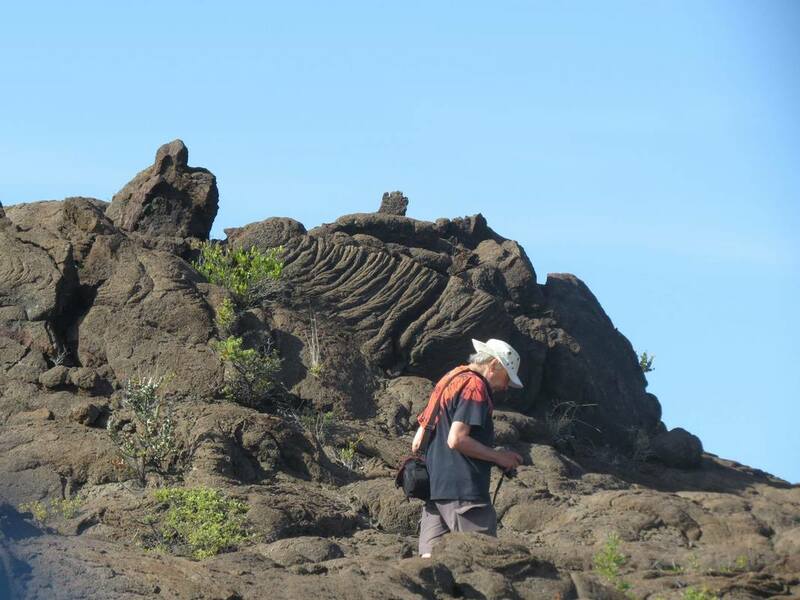 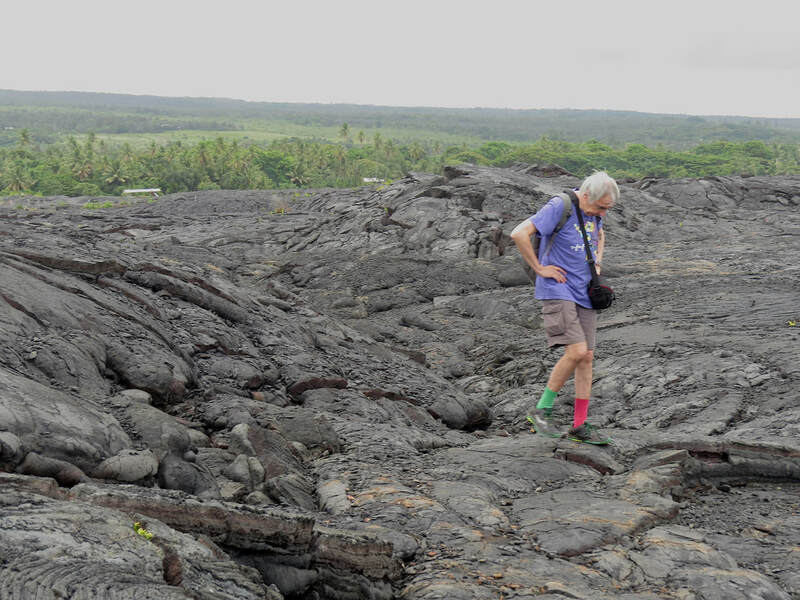 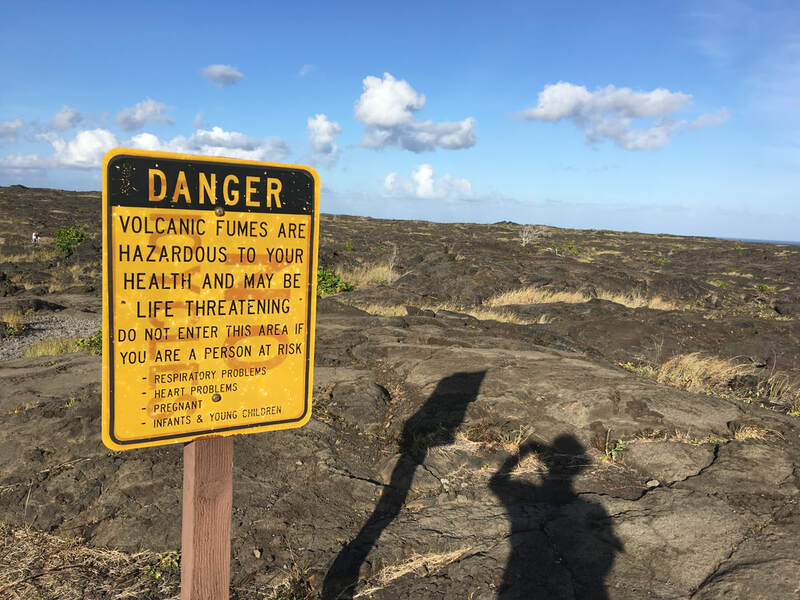 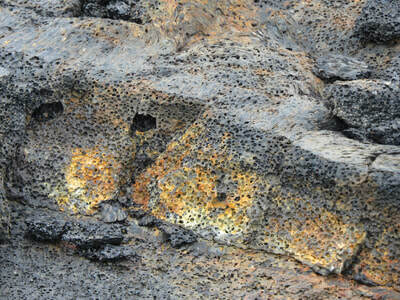 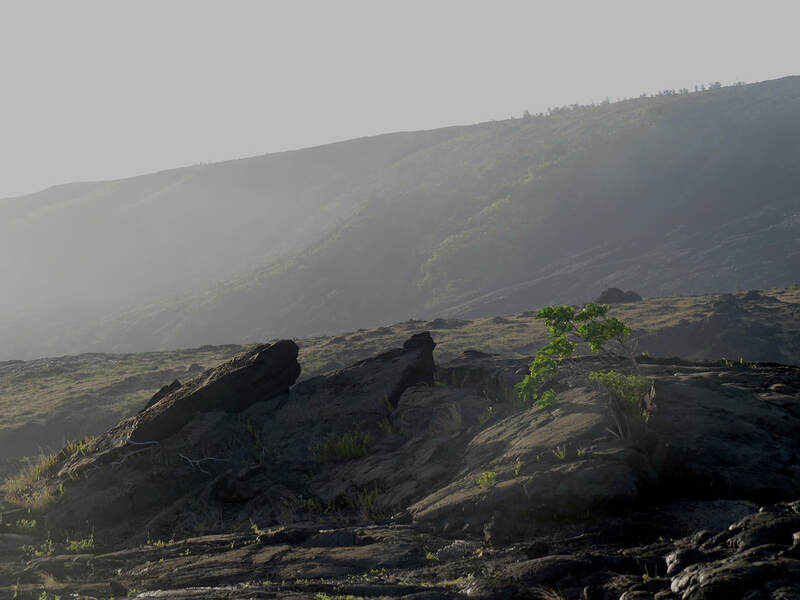 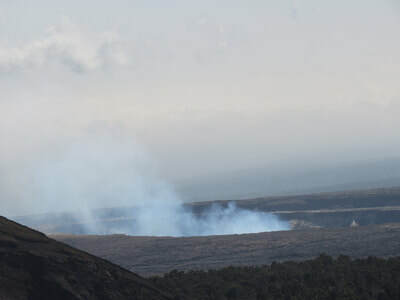 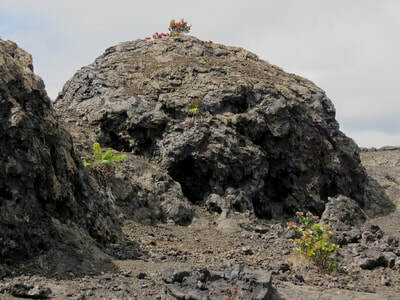 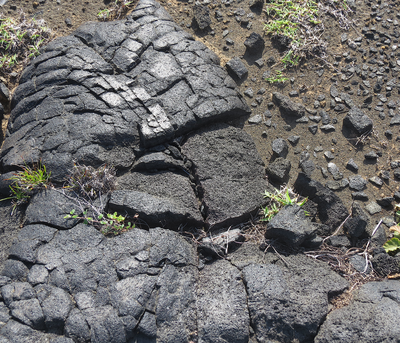 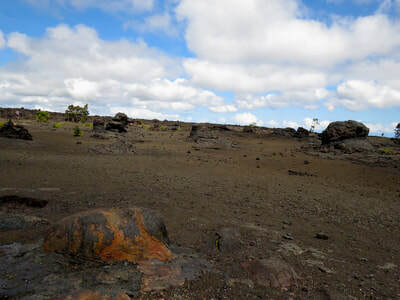 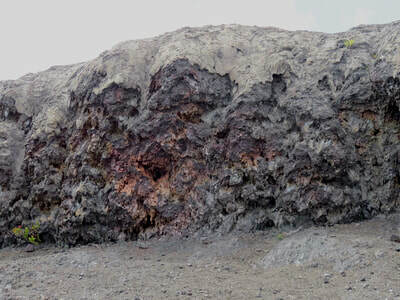 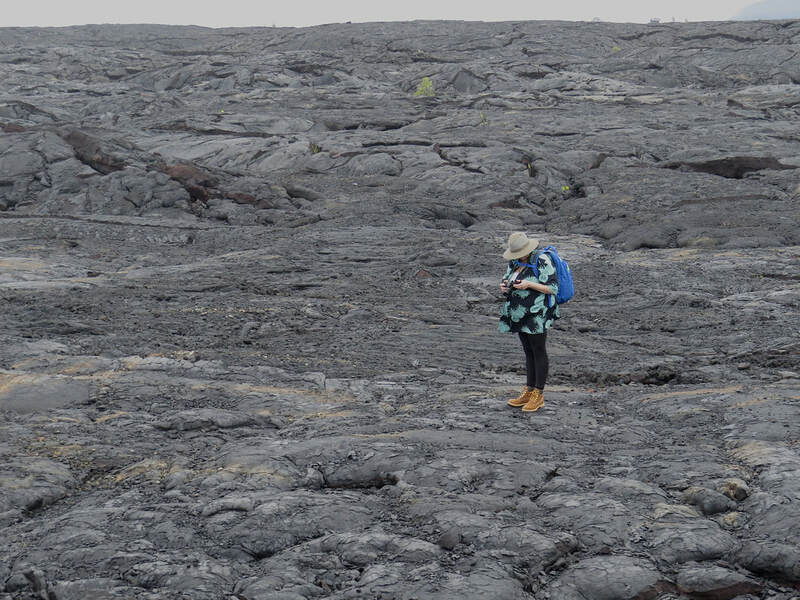 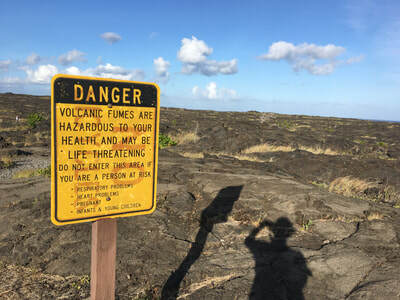 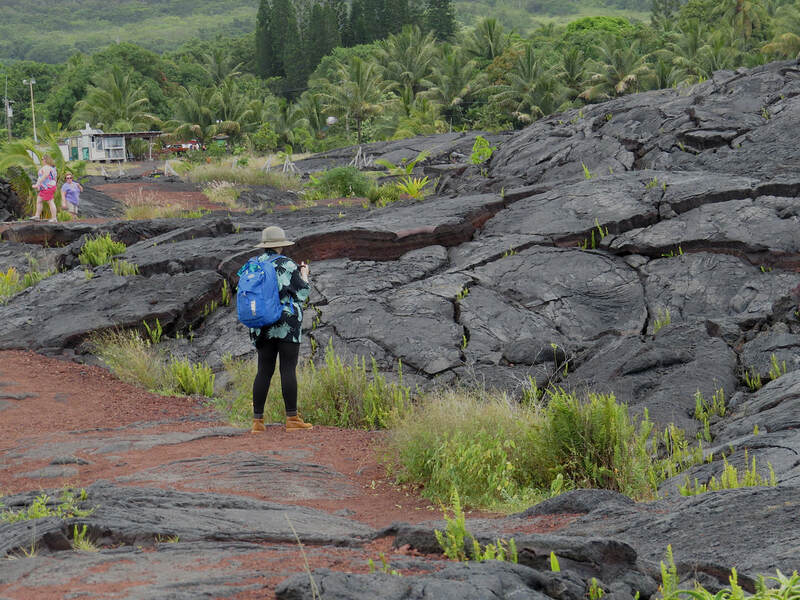 Over a two week period, the artists explored various lava fields and craters found within the Volcano National Park to gather visual media for the installation. 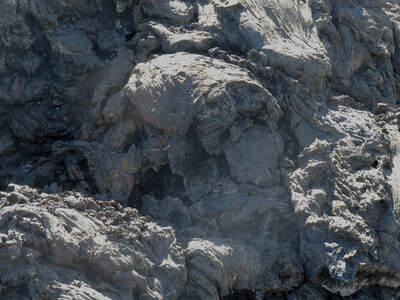 The photo documentation below shows the locations and some of the "earth faces" found. The terrain was otherworldly, and often the artists felt a spirit of place genius loci.​ Not only did they find "faces" they found images of humans, animals, and eyes emerge from the terrain....but that is a future project!